With just about as many new cigar companies as craft breweries recently springing up in the industry, it can sometimes be difficult to know, “Who’s the real deal? !” Allow us to highlight one such manufacturer, a new brand that is run by the not-so-new Jose Seijas—a legend in the industry, with more than 40 years experience. Jose is best known for his work as Vice President and General Manager of Tabacalera de Garcia, creating legendary blends such as Montecristo and Romeo y Julieta for Altidas USA. After retiring in 2012, Jose returned in 2014 with his own brand and his own factory, operating out of the Dominican Republic. 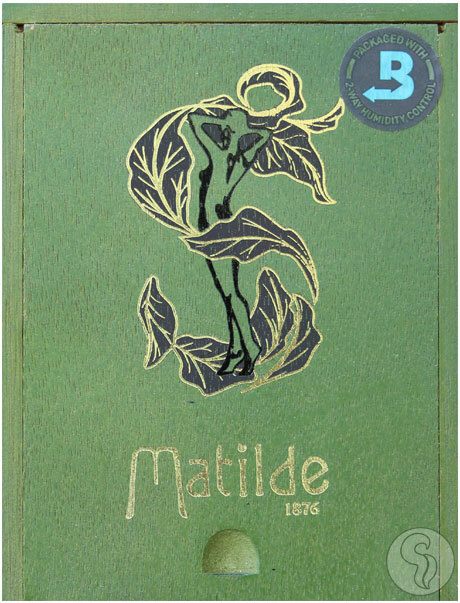 The brand is Matilde Cigars (remember that name! ), and they have now introduced their 2nd blend to the cigar world—Matilde Oscura. Oscura features a darker, more bold blend when compared to their original Renacer cigar. It receives its name (Spanish for “dark”) from its maduro San Andrés Mexican wrapper. A Sumatran binder and fillers of Dominican, Nicaraguan, and American tobaccos round out the rest of the Oscura blend. This is a full-bodied, powerhouse cigar from one of the best cigar craftsman in the world—you don’t want to miss it!